Fifty Golden Years of Great Britain's if not the world's most innovative, inventive,influential musical icon David Robert Bowie were celebrated superbly by Walsall's no. 1 son John Mainwaring and the J.G.s. John has been ('doing' ) David for over a quarter of a century and you could see all the Bowieisms and vocal skills from five decades of the A*rtiste who made more direction Ch-Ch-Ch-Changes than Lewis Hamilton round Monaco. 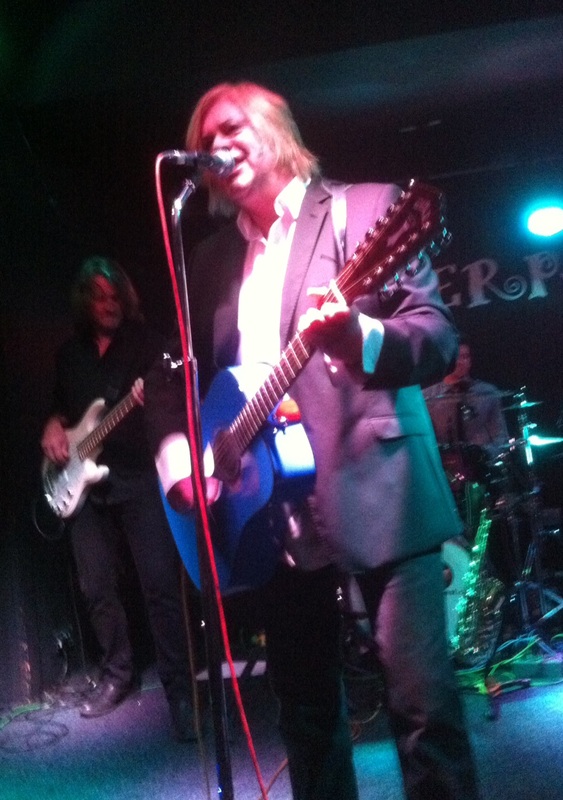 John/David's band of Dan Woody Guest and Trevor Paul Bolder back-beated brilliantly for J./D. and partner-in-creativity Mick Ronson lookalikey and guitar super-hero Steve Gardiner who regularly hit 11+ on the Riffter Scale. The Fantastic Foursome played two terrific sets of Bowie belters from glorious start to jaw on the floor, crowd baying for more, finish. Highlights for me were a crowd-as-one, singalong a La La Starman, an out of this worldy Space Oddity/Major Tom and a sensational, rock-out Jean Genie(Wahooo!). But then, hang on.... what about "Heroes", Let's Dance, Life on Mars? and exceptionalissimo encores Rebel Rebel and Ziggy Stardust??? It's actually unfair to highlight tracks at such a special musical experience as this was. Overall, a total bloomin' blam blam.